For many Native American communities, the lack of mapped information, training and resources has created a barrier to improved resource management and land use planning. Simply put, tribes lack the information needed to make sound decisions, especially when it comes to entering the carbon credit and other environmental commodities markets. That’s why web mapping is so important. 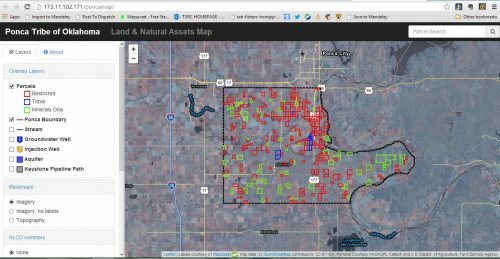 Just because a tribe doesn’t have a trained geographic information systems (GIS) specialist, shouldn’t mean they have to miss out participating in these financial and land management opportunities. The National Indian Carbon Coalition can provide the necessary web-mapping resources to tribes across Indian Country. By having easy access to mapped information – the kind available in the form of web-based mapping systems – tribes can be much more well-educated on the specifics of an opportunity before having to make final decisions. Many of these web-mapping tools do not require complex, specialized training, yet they can provide valuable information related to land use, natural resource management and the preservation of cultural assets. Many of these tools are widely (and freely) available but the information needs to be assembled logically so that it is easily accessible when tribes need it for analysis, presentations and to support decision-making. Private and proprietary information can be securely managed so that important data on cultural sites and land ownership remains protected. A digital system designed to capture, store, manipulate, analyze, manage and present spatial or geographic data. 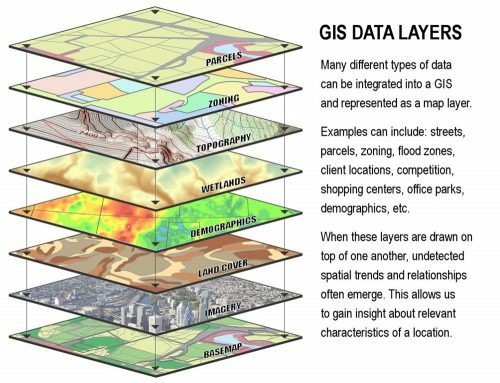 GIS is powerful tool to understand and archive mapped information. Since its inception, NICC has been providing tribes with technical expertise in the carbon credit and other environmental commodities markets. NICC has developed web-based mapping for several tribes in their consideration of carbon projects, including the Lower Brule Sioux Tribe of South Dakota, the Pueblo of Santa Ana/Tamaya (New Mexico), the Ponca Tribe of Oklahoma, and the Wind River Reservation in Wyoming. These web maps have allowed tribal land and resources staff to access and search data without needing extensive training in GIS mapping or having to acquire expensive site licenses from software companies. Facilitate meetings to define the types of data and analytics required by planners, land managers and other user groups. Do project follow-up (e.g., 6 months after map completion). Provide ongoing technical support and training as needed. An example of the easy-to-use web map interface that can be developed using Geographic Information Systems (GIS) technology.